What's the story of Shimano PD-T780 Deore XT Pedals? 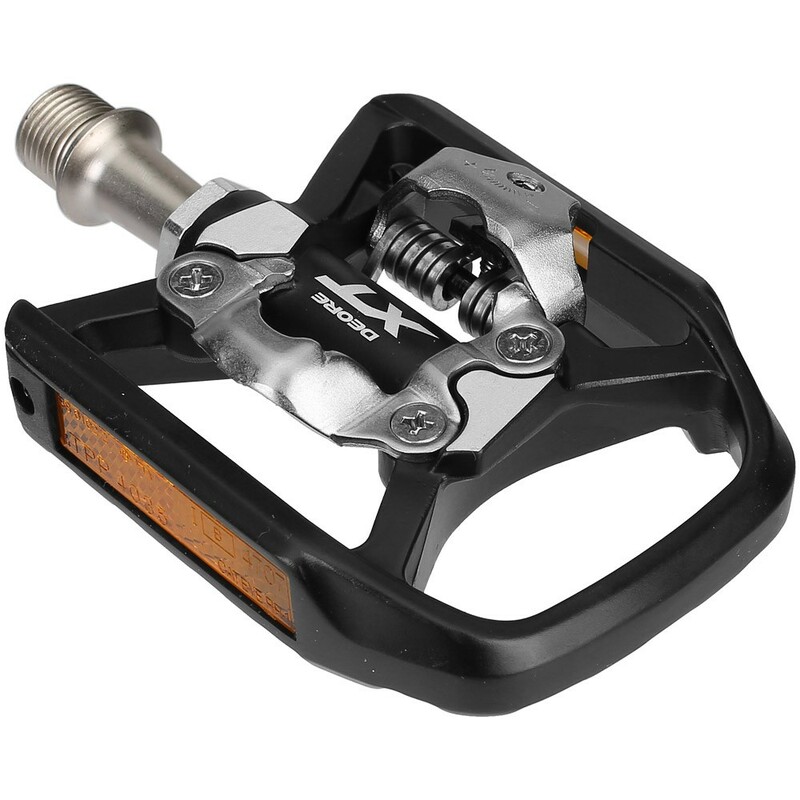 I've seen these alleged XT group pedals on several web sites, but they aren't on Shimano's site. The "PD-T780 Deore XT Pedal" is sold at Arts Cyclery (http://www.artscyclery.com/), Amazon, and REI, but at none of my usual online bike retailers. It's odd for an XT product -- it's a dual purpose flat/SPD pedal. 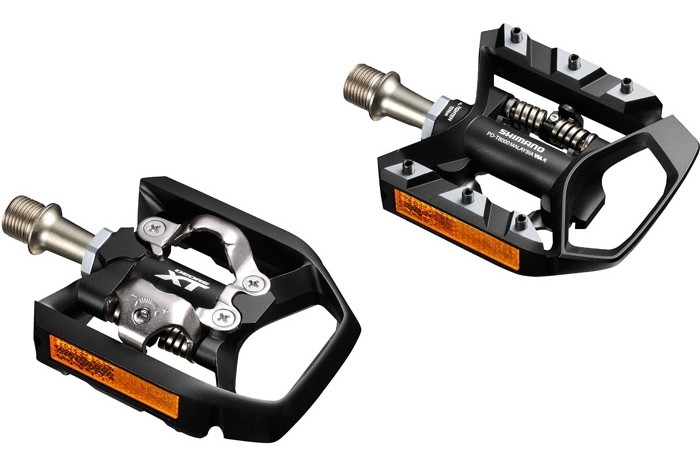 Shimano often doesn't market or stock components targeted at the Euro trekking market in North America, including these pedals, many cranks belonging to their MTB groups with slightly upsized chainrings, generator hubs, etc. They're on Shimano's Cycling Europe site. 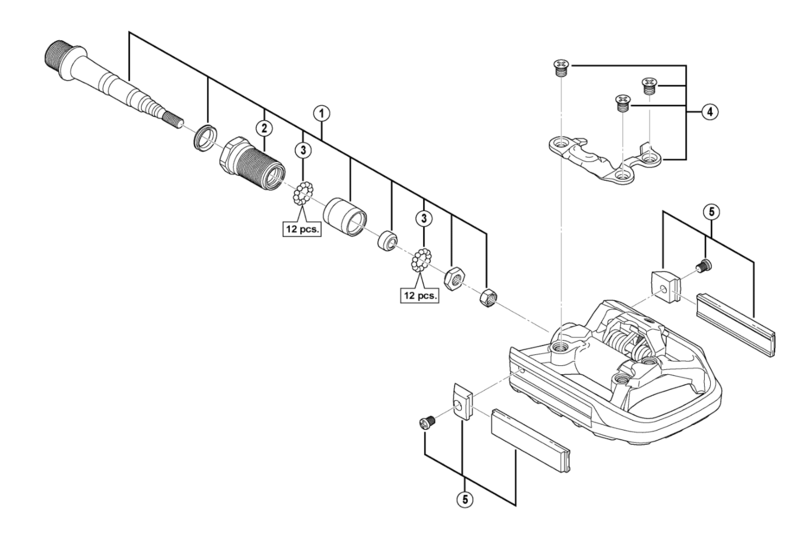 Distributors and large retailers can generally get any of it specially brought in if they want. Its a combo SPD and touring pedal, so one side for MTB cleats and the other side is flat for the times you can't be bothered putting on your riding shoes. The PD-T780 is an discontinued model. For 2016, they have been replaced by the PD-T8000. It seems the main difference is the PD-T8000 has metal pins on the flat side, so they should give better grip for your shoes. Plus it is a slightly different shaped platform. Shimano Deore XT T8000 is a groupset designed for trekking, touring and commuting bicycles. It is different to the XT for mountain bikes (currently XT M8000). So some bike shops may not sell the whole range of trekking components. What causes the threads on bike pedals to become stripped? What's difference between 1/2 and 9/16 inch pedals?